It all began in 1769. Two students were graduating with medical degrees from King’s College. Twenty-eight-year old Dr. Samuel Bard gave the commencement speech that so moved city leaders that enough funds were pledged to establish a hospital. 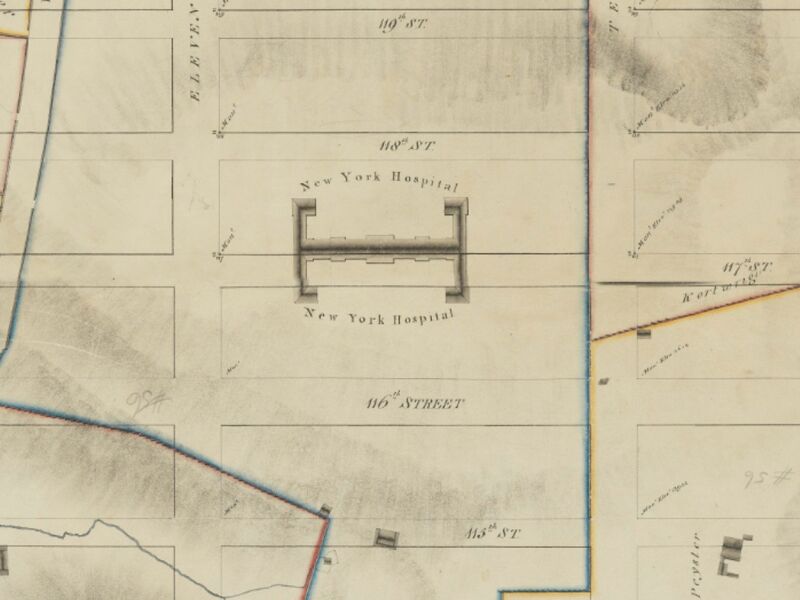 In 1776, New York Hospital became the 3rd oldest hospital when it opened just in time to treat some rag-tag colonials wounded by shot from British men-of-war ships moving up the Hudson. New approaches to treatment of the mentally ill by Dr. Pinel in Paris and William Tuke who established the Retreat for the Insane in York, England. Patients were to be no longer kept in seclusion, let alone in chains. Treatment was becoming understood as “moral” instead of “medical”. The changes had sweeping implications: patients were “visited” and physical activity for patients was encouraged. The building was made mostly of limestone and was 60 ft. wide and 211 ft. long. That would make it as long as say from 103rd to 104th St. By 1824, there were 120 patients. In 1834 when there were 134 patients, 38 acres southeast of the grounds were sold (for $24,755) to the Leake and Watts Orphan Asylum. 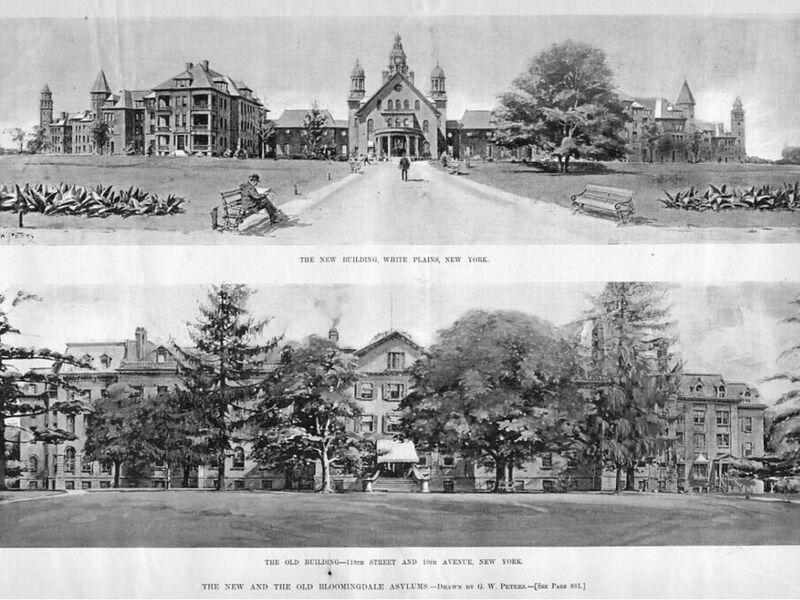 In 1839, “pauper patients” in the Bloomingdale Asylum were moved to the new Lunatic Asylum that was opened by the City on Blackwell’s Island, today called Roosevelt Island. A Superintendent and a Matron administered the Asylum. The Asylum also had a resident physician from the beginning in 1821. 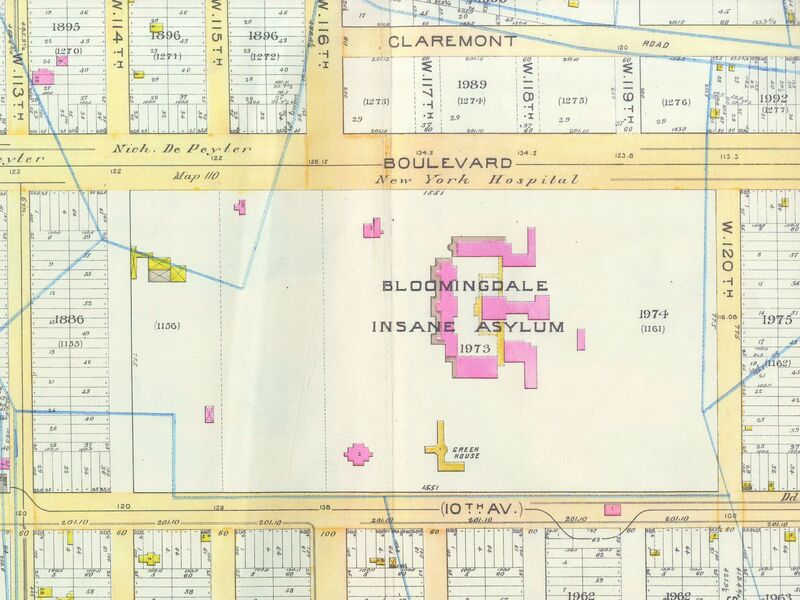 By 1848, and for $75 a year, Croton Water came to the Bloomingdale Insane Asylum. 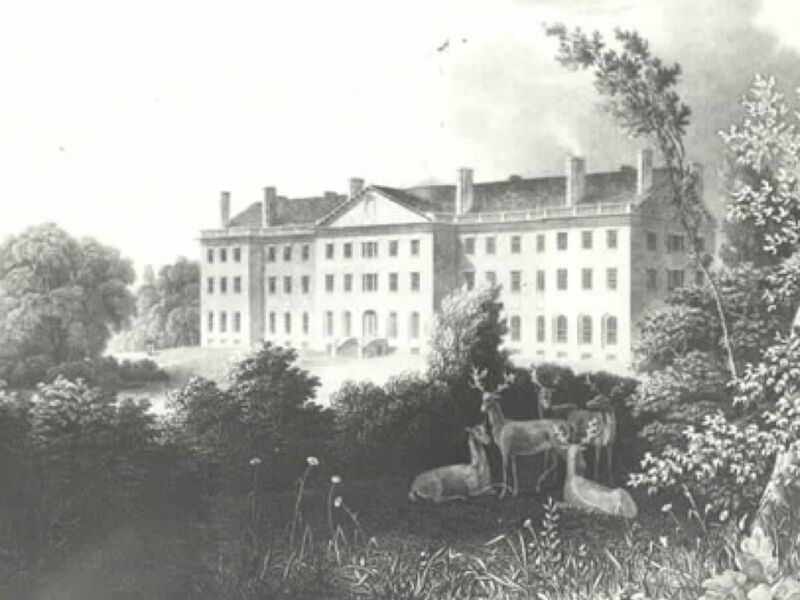 In 1843, Dorothea Dix visited the Bloomingdale Insane Asylum. In 1851, she visited the BIA again, this time rendering her comments to the Board of Governors. From this, some $52,000 was raised to build two additions to the facilities that separately housed the noisy and violent men and women. They were each two stories high and 100 ft long and housed about 150 patients. In 1862, additional funds expanded the asylum further and connected the buildings into a wing-type design. 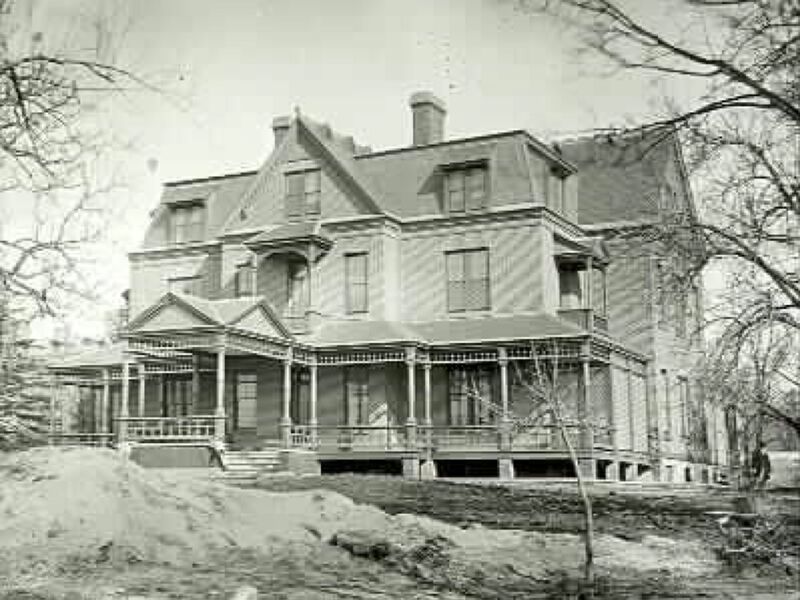 In response to a point made by Miss Dix about a noisy engine and laundry, a separate 3-story building, 75 ft. by 40 ft., was built for laundry and as a residence for domestics. In 1875, pumping water from wells was ended with a direct connection to the Croton water supply that ran down present Amsterdam Avenue. 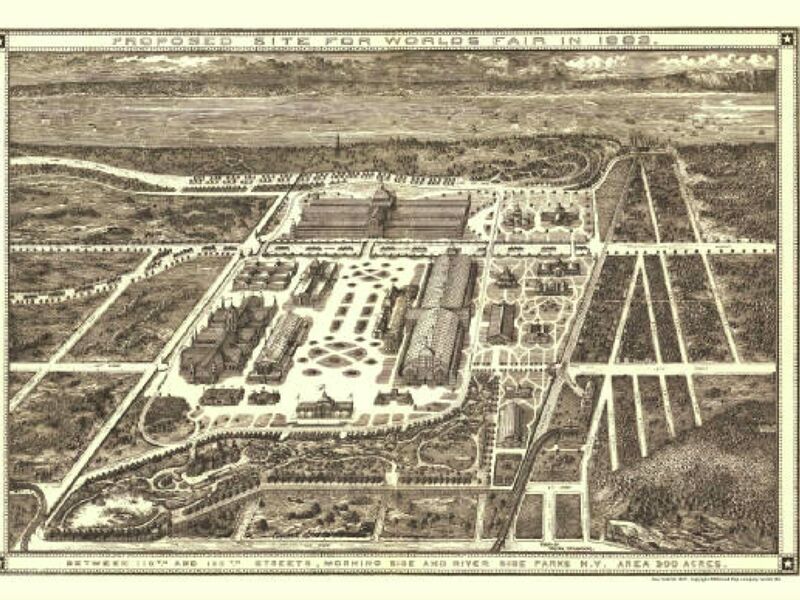 Also in 1875, a conservatory of brick, wood, and glass, containing a plant house, aviary and aquarium was erected. 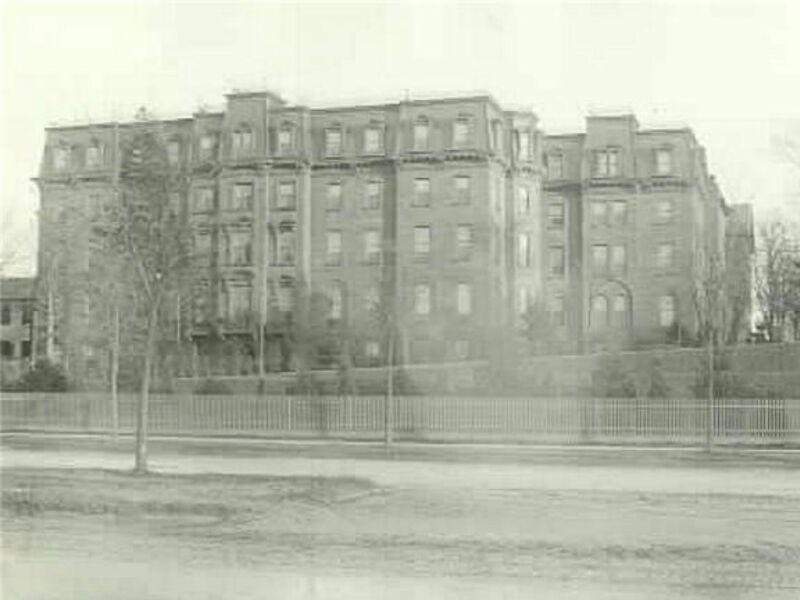 In 1892, the Asylum sold its land between 116th and 120th Streets to Columbia University. In 1954, President Dwight D. Eisenhower, who had been Columbia’s president (1948-1953), used his influence to have 116th St between Amsterdam and Broadway closed to traffic and bricked over to commemorate CU’s bicentennial.